Overview - A hack screenwriter writes a screenplay for a former silent-film star who has faded into Hollywood obscurity. All stars, no matter how brightly they shine, eventually flicker and fade. Some go out gracefully, while others… well, not so much. Clinging to the past through delusion, they hold tightly to burnt out glory and hastily snuffed dreams, refusing to accept the rueful fate an unjust world has thrust upon them. In Billy Wilder's cinematic masterpiece 'Sunset Boulevard,' that faded star is the tragic and terrifying Norma Desmond, and that unjust world is the glittery mass of false promises known as Hollywood. Teeming with powerful drama, striking images, absurd humor, and infinitely quotable lines, the film has left an indelible impression on the world of cinema. It's a Hollywood film noir, satire, tragedy, and horror story all wrapped into one -- and while time may have dulled poor Norma Desmond's starry allure, the film itself remains a shining example of motion picture art. After running into car trouble, a struggling screenwriter, Joe Gillis (William Holden), stumbles upon an old Hollywood mansion. There he meets former silent film star Norma Desmond (Gloria Swanson). Desperate for a return to the screen, the aging actress hires Gillis to help write a script for her to star in. While Gillis is at first quite eager to take advantage of the opportunity (and Desmond's checkbook), the situation slowly becomes more complicated. As Desmond grows increasingly obsessed and delusional, Gillis attempts to escape her grip, but is continually pulled back in, leading to potentially fatal consequences. A dead body floating lifeless in a pool. It's one of cinema's most iconic opening sequences, and as joined by William Holden's sardonic, hardboiled voice over, it perfectly sets the tone for the singular masterpiece that follows. Mostly told in flashback, Wilder and co-writer Charles Brackett's script is among the greatest ever written, and together they successfully weave a story full of suspense, pathos, and dark, biting humor. While the plot contains many elements of classic film noir, the narrative ultimately defies any one genre. Instead, the writers mix in a strong satirical edge, layering the drama and tension with a witty and occasionally scathing commentary on the pitfalls of show business. Concepts dealing with obsession, failure, opportunism, deception, and the sorrows of fading glory are all examined with intelligence and complexity, building an engaging tale steeped in delusion and escalating madness. The dialogue stings with wit and insight, and the film is home to a plethora of famous quotes that reveal a playfully jaded voice. 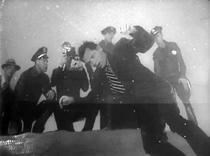 Like many of Wilder's famous works, the movie features a decidedly cynical viewpoint, and through Norma Desmond and Joe Gillis' tragedy, the director takes repeated jabs at the exploitative, illusory nature of Hollywood. With that said, as critical as the film's thematic underbelly can be, the movie isn't really meant to serve as a genuine attack on the studio system. In the end, this is a film about filmmaking, and it's full of numerous references, nods, and observations -- both mocking and loving alike. Bolstering the satire, is an almost bizarre undercurrent of dry absurdity. While the film' content is disturbing, Wilder and Brackett maintain a darkly comedic tone that somehow walks a fine line between sincere drama and overt farce. For instance, when we first meet Norma Desmond, she's awaiting an undertaker to help her burry her deceased pet monkey. When said monkey funeral does take place, it's an explicitly odd, humorous sight that still retains a certain level of eeriness and genuine emotion. The runtime is full of absurd sequences like this, but instead of exaggerating the inherent silliness of the situations, Wilder plays it mostly straight, making it nearly uncomfortable to watch. In many ways, the entire film presents a fascinating examination of the grotesque -- and by grotesque I don't simply mean ugly. I mean grotesque in the literary sense, blending the strange and distorted with a palpable, sometimes devastating hint of compassion and pity. Indeed, throughout 'Sunset Boulevard,' behind every laugh, there is always a deeper tinge of sadness lurking just beneath the surface. Joe Gillis serves as our jaded protagonist and narrator, and while his ultimate fate is essentially unveiled in the opening scene, this early reveal doesn’t really detract from the mystery -- it merely wets our appetite for more. William Holden plays the character with just the right amount of cynicism, selfishness, and legitimate kindness. In fact, while it's the characters' lesser qualities that initially get him into trouble, it's actually his better traits that end up sealing his unfortunate end. Firmly cementing the story from his perspective, Gillis' voice over holds the film together, and serves to do much more than simply summarize the events on screen. To the contrary, the narration actually helps to maintain the movie's mixture of tones. The character's constant ironic observations are littered with biting metaphors that all work to undercut and enhance the drama. Holden delivers each humorously dense, caustic line with a perfect mixture of hardened scorn and laid back detachment. As entertaining as this narration can be, the real meat of the film lies in the character's fateful pairing with Norma Desmond. Through their unhealthy relationship, Gillis becomes a kept man, imprisoned by a mixture of his own self-serving weaknesses and compassion. Their precarious coupling drives the drama and rests at the very core of the narrative. In the role of Norma Desmond, Gloria Swanson turns in one of cinema's most memorable and unsettling performances. A haughty, narcissistic former silent film star prone to delusions of grandeur and fits of melancholy, Desmond refuses to accept her has-been status. Locked away in a gothic mansion, she has grown oblivious to reality, tragically clawing onto her faded glory with a talon-like grip. Swanson's portrayal is nothing short of revelatory, and the actress crafts a truly larger-than-life character. In some ways, the role crosses the line into caricature, but this is only because the character herself has basically devolved into a misshapen impression of what she once was. This occasional excess is actually essential to Desmond's entire persona, and Swanson maintains a disturbingly raw emotional center. Though deranged and ego-maniacal, the woman ultimately remains wholly vulnerable and sympathetic. Used up and spit out by the industry, Desmond has become a tragic relic, seemingly displaced in time. Everything from her gaudy dress to the very cadence of her voice calls back to an era long since passed. Menacing, sophisticated, deranged, and heartbreakingly pathetic, she craves the spotlight, and Swanson gives form to that obsession with terrifying clarity. Desmond's opulent Hollywood mansion serves as the setting for much of the film's story, and the location becomes a striking character unto itself. Creepy and ornate, the immense house acts as a self-indulgent shrine to the actress's past glory. Pictures of the fallen star litter the mansion's rooms, and a personal film projector only plays Desmond's former classics. The vast, mournful atmosphere is faintly gothic in nature, and Wilder and his production designer layer the space with shadowy lighting and elaborate details. Along with the absurd situations, the location presents a slight break from reality, carrying the viewer into a 'Twilight Zone-esque' universe vaguely parallel to our own. With such personality already present in the script, performances, and setting, Wilder mostly lets the heightened content speak for itself, but there are numerous key scenes where the director offers some truly powerful compositions and aesthetic choices. Film noir influenced visuals and lighting schemes permeate the work, bathing the screen in shadowy images while slow moving tacks and zooms create a moody sense of motion and building dread. Traditional coverage is kept to a minimum, maintaining the dramatic and humorous tension of individual scenes through master shots with minimal cuts. Still, specific close-ups are used to punctuate important beats, often highlighting Desmond's increasing hysteria, emphasizing her unblinking madness. Wide shots are also employed to accentuate the immense space of the mansion, allowing characters to maneuver about the large area without cutting away. Other scenes feature an expert command of blocking, including one shot that shows Desmond on the phone in the foreground while Gillis slowly approaches from the background, intruding on her clandestine conversation and the actual shot itself. 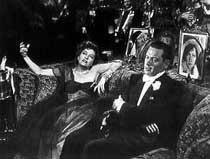 Another notable sequence features the pair watching one of the actress's old films. At one point, Desmond stands up, dramatically caught between the beam of light shooting from the projector. Smokey dust billows in the air around her, burning in tandem with the fiery intensity of her words. It’s a powerful image that perfectly sums up the character's misplaced passion, and as pointed out in the commentary, it's like something ripped straight out of a monster movie. Of course, nothing is more striking than the film's infamous finale, which, much like its opening, is home to one of cinema's most iconic, mesmerizing, and disturbing images. As Norma Desmond makes her immortal descent down the stairway of her ghostly abode, Billy Wilder forever cements himself as one of Hollywood's greatest directors. Part scathing satire, part film noir, 'Sunset Boulevard' is a singular, peerless achievement. Featuring some of the best dialogue, plotting, characters, and performances to ever hit the silver screen, the movie is a classic in every sense of the word. Wilder's work is a darkly absurd rumination on grotesque tragedy, fading stars, and unending exploitation -- and somehow he manages to filter it all through a script that is playfully sardonic, dramatically tense, and genuinely heartbreaking. A disturbing and darkly humorous journey into the pitch black heart of Hollywood, the film leaves a truly lasting impression. Norma Desmond is one of the medium's greatest creations, teetering between larger-than-life excess and devastating pathos. Though her final image may eternally blur out of focus, her spectral visage lives on through the storied annals of cinema, where she remains forever lost in that mournful tomb of a house, quietly listening for the soothing purr of a rolling camera. 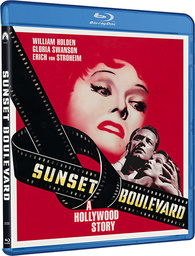 Paramount presents 'Sunset Boulevard' on a BD-50 disc housed in a standard keepcase. Despite the high pedigree of the film, this is a purely no-frills release. While I've got mixed feelings about some of the rather elaborate box sets other classic films have received ('Casablanca', 'Singin' in the Rain,' 'Blade Runner') it still seems like Paramount could have done a little bit more here (a simple booklet with photos, production info, and critical essays would have been nice). After some warnings and logos, the disc transitions to a static menu. The movie is provided with a black and white 1080p/AVC MPEG-4 transfer in the 1.37:1 aspect ratio. Beautifully restored, 'Sunset Boulevard' looks absolutely marvelous on Blu-ray. The print is in excellent condition, with virtually no signs of damage. A moderate layer of natural grain is preserved throughout the runtime, giving the image a rich, filmic appearance. Detail is good, and while certain shots maintain a deliberately diffuse glow, close-ups can be rather striking, revealing lots of fine detail in facial features, accentuating Norma Desmond's grotesque madness. Likewise, Desmond's opulent, creepy mansion is full of tiny, intricate textures, and all of the ornate details come through beautifully, highlighting the incredible sets, costumes, and production design. The movie's dramatic, film noir influenced lighting leads to a great sense of contrast, with steady whites and deep, shadowy blacks. With that said, there is some slight contrast pulsing throughout, but these instances are relatively minor and never distracting. Authentically restored, the film looks fantastic. Clarity is strong, grain is natural, and contrast is well balanced. The movie's impeccable production design is impressive, and the cinematography is layered with detail. This is a great example of a classic film transfer done right. The film is provided with an English Dolby TrueHD 2.0 Mono track, along with French, Spanish, and Portuguese Dolby Digital mono tracks. Optional English SDH, Spanish, French, and Portuguese subtitles are also available. While very respectable overall, there are a few hiccups here and there. Though the track is understandably thin, dialogue and voice over narration are clear and clean. Effects work and score carry decent fidelity and range (for a film of this age), with no major distortion. Notable background hissing and pops are also absent. Unfortunately, there are a few brief but noticeable background crackles/static in a few instances that can be slightly distracting (check out the 06:03, 43:22, and 44:13 marks for examples). These instances aren't constant, and there are long stretches without any issues, but the crackles are frequent enough to be a minor annoyance. 'Sunset Boulevard' comes to Blu-ray with a respectful mono track. There are some age-related issues, but for the most part this is a solid and faithful mix. Paramount has put together a plentiful but disappointingly redundant collection of supplements. Sure, there's a lot of interesting trivia and production insights here, but too many of the extras feature the same interview snippets repeated over and over again. To clarify, I don't simply mean that the same stories are repeated, I mean that the exact same interview clips are repurposed and re-edited together (along with new pieces) throughout many of the supplements. Instead of piecing out this material into smaller segments with redundant clips, Paramount would have been better off just combining all of their interviews into one long documentary without all of the repetition. Still, despite this criticism, fans should be very pleased with the amount of information offered. All of the supplements are presented in standard definition with Dolby Digital 2.0 audio and the same subtitles as the main film (unless noted otherwise). Audio Commentary with Ed Sikov - Ed Sikov, author of "Sunset Boulevard: The Life and Times of Billy Wilder," provides a decent commentary track for the film. Sikov offers a standard mixture of production trivia and analysis, tracing the film's development while sharing stories about its director and cast. Insights into the movie's characters, mixture of tones, themes, unique dialogue, locations, visuals, and plot are also provided. With that said, Sikov does spend some time merely summarizing the events of the film, and there are a few pauses in his discussion. It's not exactly essentially listening (especially since the subsequent featurettes cover a lot of the same ground) but fans might want to take a listen. Sunset Boulevard: The Beginning (SD, 23 min) - Interviews with film historians, producers, and actress Nancy Olson (who plays Betty in the film) are provided, all tracing the movie's origins and production. Snippets from an archive interview with Gloria Swanson are also included. Information on the Wilder/Brackett collaboration is detailed, along with some anecdotes from the shoot. Casting is also discussed, and many alternate choices for the lead characters are shared. Sunset Boulevard: A Look Back (SD, 26 min) - More interviews are provided, this time offering insights into the film's original, abandoned opening sequence. The movie's themes and critical/audience success are also touched upon. Unfortunately, along with these new bits, many interview pieces from the previous segment are simply repeated here. The Noir Side of Sunset Boulevard (SD, 14 min) - In this featurette, author and former LAPD detective Joseph Wambaugh discusses the movie's similarities to, and deviations from, film noir storytelling. Sunset Boulevard Becomes a Classic (SD, 14 min) - More repeated interview bits are offered, along with additional archive material with Gloria Swanson, insights into the film's lasting impact, and details on the Broadway musical adaptation. Two Sides of Ms. Swanson (SD, 11 min) - Swanson's granddaughter and other participants shed light on the actress's personal and professional life. Stories of Sunset Boulevard (SD, 11 min) - Even more repeated interview snippets from earlier supplements are provided, along with a few new stories about the shoot. Mad About the Boy: A Portrait of William Holden (SD, 11 min) - Here the focus is on actor William Holden and his filmography. Recording Sunset Boulevard (SD, 6 min) - Efforts to re-record and finally commercially release Franz Waxman's score are highlighted. The City of Sunset Boulevard (SD, 6 min) - This featurette offers some trivia about the various Hollywood locations used in the movie. Franz Waxman and the Music of Sunset Boulevard (SD, 14 min) - Franz Waxman and his score are discussed here. Details on specific themes and cues are offered along with a solid biography on the composer and his path to Hollywood. Morgue Prologue Script Pages (HD) - Two drafts of the film's amusing deleted opening scene are offered. The first is dated December 21, 1948, and the second is dated March 19, 1949. While the completed scene no longer exists, some filmed shots are available. In the first draft, a camera icon will occasionally appear, and if the user selects it, an accompanying video clip (1080p, no sound) will play of that portion of the script. Hollywood Location Map (SD) - A map of Hollywood and Paramount Studios is offered with specific locations seen in the movie. If the viewer selects a location, a brief clip plays, offering some trivia about the area and its relationship to the film. While a decent addition, a lot of this information was already covered in an earlier featurette. Behind the Gates: The Lot (SD, 5 min) - This is a brief, fluffy account of Paramount Pictures' history. Edith Head: The Paramount Years (SD, 14 min) - Celebrated costume designer Edith Head is highlighted here, with details on her various projects for Paramount (including 'Sunset Boulevard'). Paramount in the 50s (SD, 10 min) - This is a highlight reel of Paramount's filmography throughout the 1950s. Galleries (HD) - Three galleries labeled "Production," "The Movie," and "Publicity" are provided in 1080p, offering lots of stills and behind-the-scenes photos. Trailer (HD, 3 min) - The film's trailer is presented in 1080p. 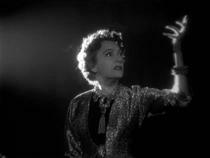 Perhaps the greatest film from one of Hollywood's greatest directors, 'Sunset Boulevard' is moviemaking at its finest. Billy Wilder's unique mixture of film noir and satire results in a riveting, humorous, and disturbing examination on the grotesque absurdities and fragile illusions of Hollywood. Gloria Swanson turns in one of cinema's most iconic performances, and the film is home to some of the medium's most quoted lines. The video transfer is simply beautiful, and while there are some minor issues, the audio is quite solid. Supplements are plentiful and informative, but there is a disappointing amount of repetition. Despite my small qualms about the presentation, this is a great disc for a truly defining work of motion picture art. Much like 'Citizen Kane' and 'Casablanca,' this is a must own title for any serious film fan.